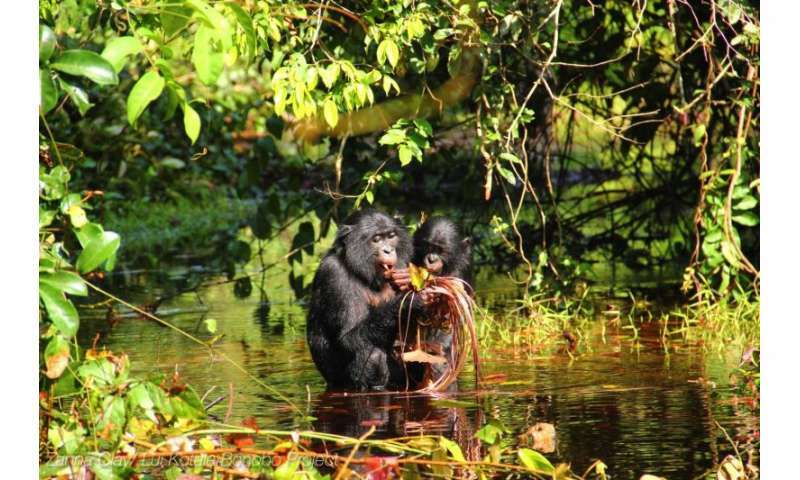 Researchers at the University of Birmingham, UK and the University of Neuchatel, Switzerland, have found that wild bonobos, our closest living relatives in the primate world, communicate in a similar manner to human infants, using a high-pitched call type, or 'peep', that requires context to be understood. 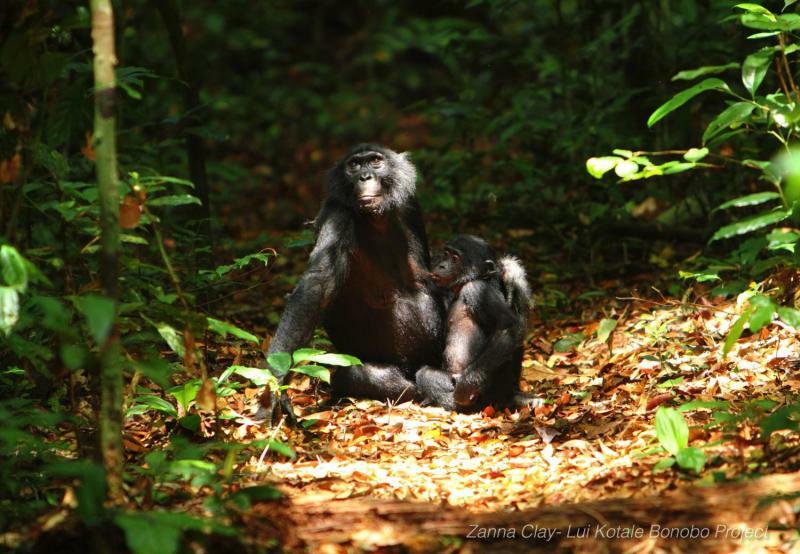 The finding that bonobos use a type of call, that alters meaning depending on context, echoes the context independent manner in which human babies can also communicate. 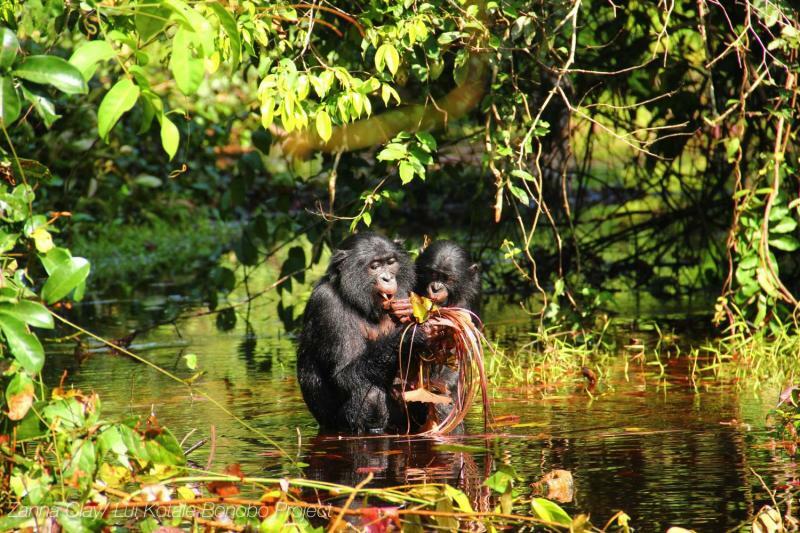 Bonobos make 'peep' calls which are short, very high-pitched and produced with a closed mouth. They produce these calls in a wide range of situations, across positive, negative and neutral circumstances. The researchers looked at the acoustic structure and found that the peep calls did not vary acoustically between neutral and positive contexts - for example, between feeding, travelling and resting. It is this similarity in calls made across different emotional contexts that echo the similarities found in human infant vocalisations. 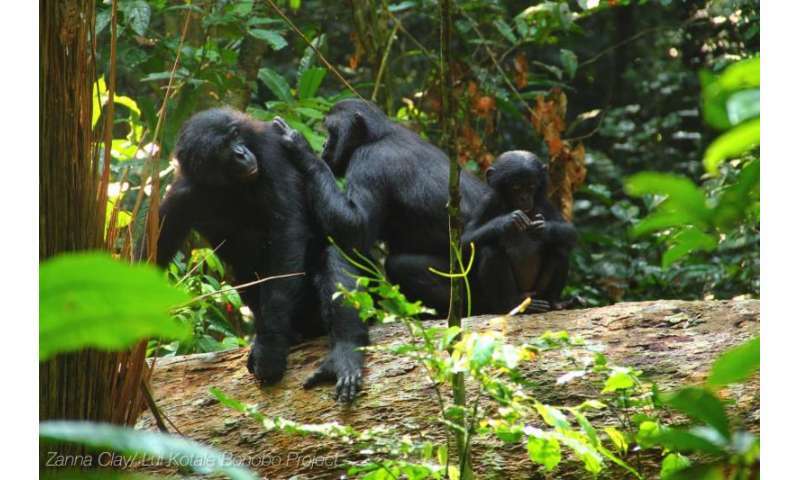 The common assumption is that primate calls are tightly tied to certain contexts and emotional states, whereas many human vocalisations are freed from this. However, before language develops, human babies can produce a group of calls- called 'protophones'- independently of their emotional state. These types of infant calls differ from commonly recognised calls such as laughter and crying, and the calls of most animals, which are thought only to be produced in certain contexts. Dr Clay added, "We felt that it was premature to conclude that this ability is uniquely human, especially as noone had really looked for it in the great apes. It appears that the more we look, the more similarity we find between animals and humans." 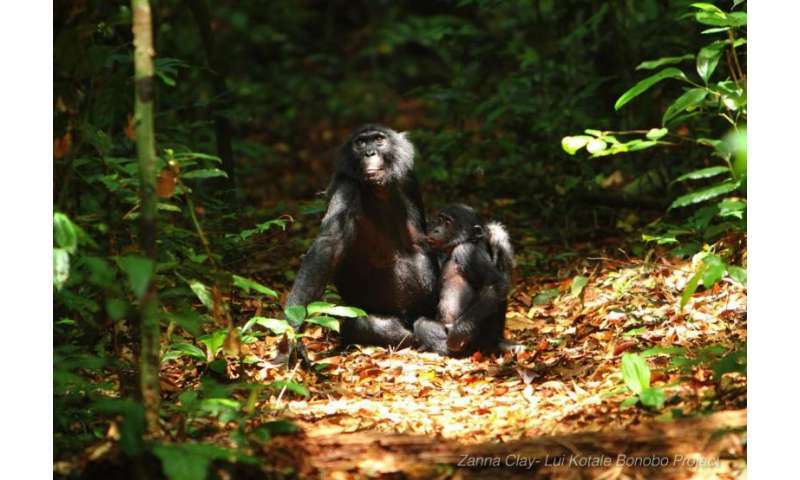 The type of communication the researchers observed in the wild bonobos could represent an important evolutionary transition from 'functionally fixed animal vocalisations' - vocalisations that are tied to specific contexts or emotional states - towards human vocalisations, which seems to have appeared some 6 - 10 million years ago with the bonobo, our shared common ancestor with apes. 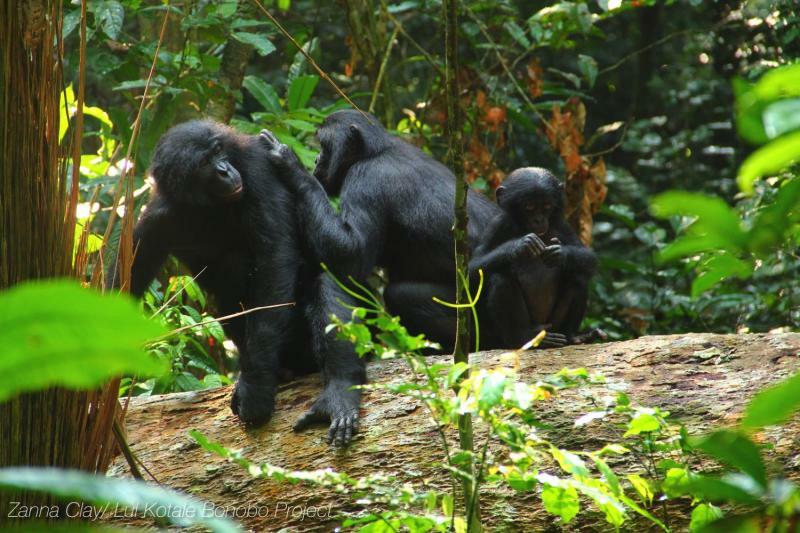 The research, published in the journal PeerJ, also found that the peeps made in emotionally negative circumstances, such as an aggressive encounter, or in response to predators, demonstrate a pattern more typical to primates in that the acoustic structure is more closely tied to certain emotional states.